Born Jan12,19 black paint colt, qtr type. 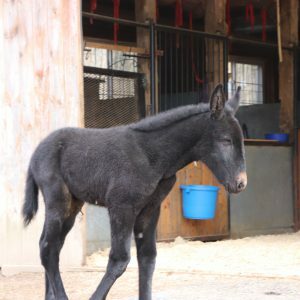 He is solid! 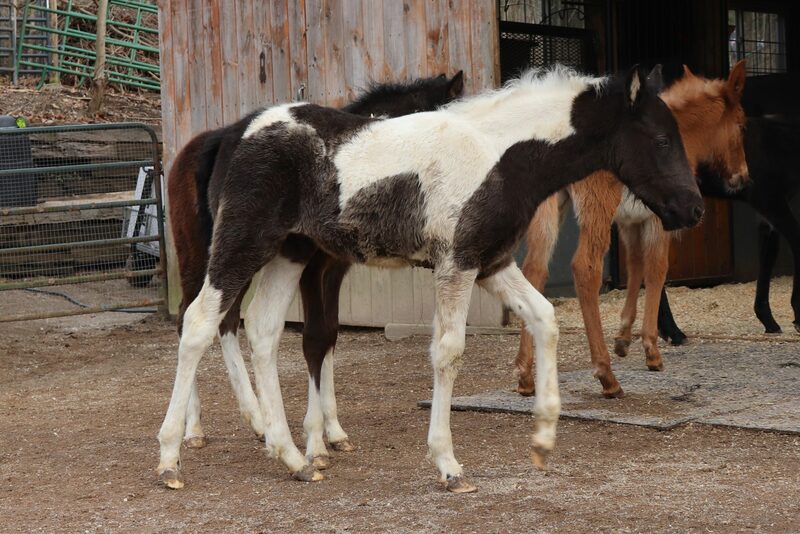 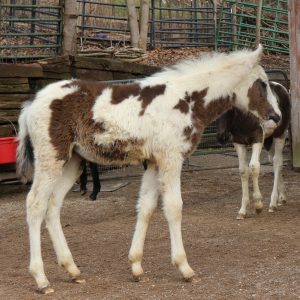 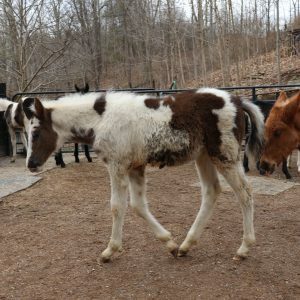 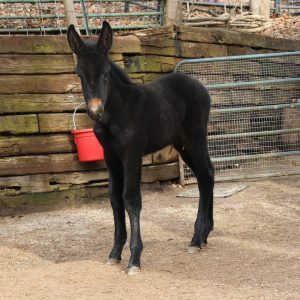 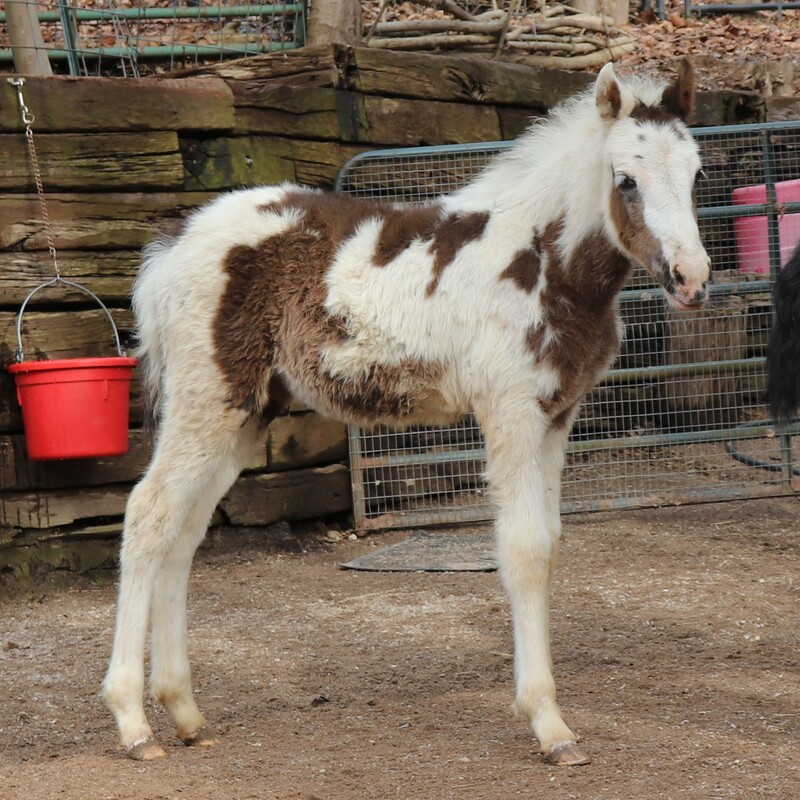 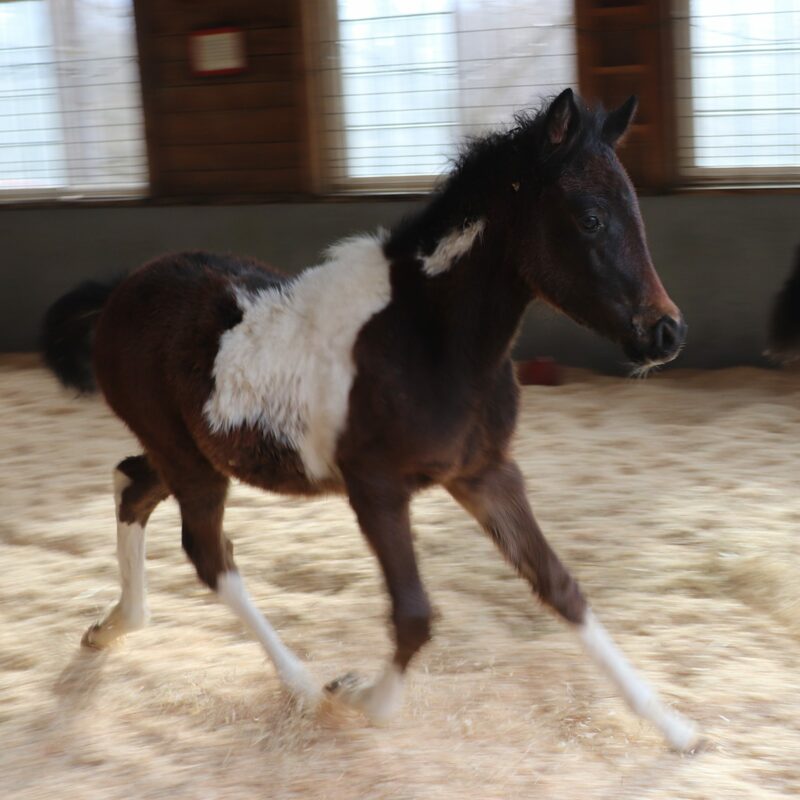 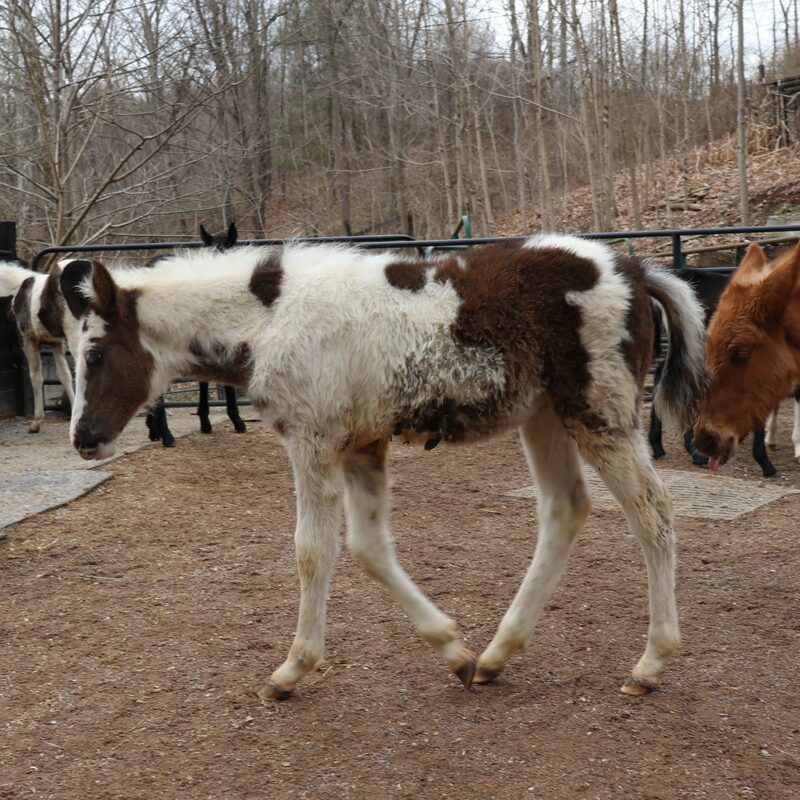 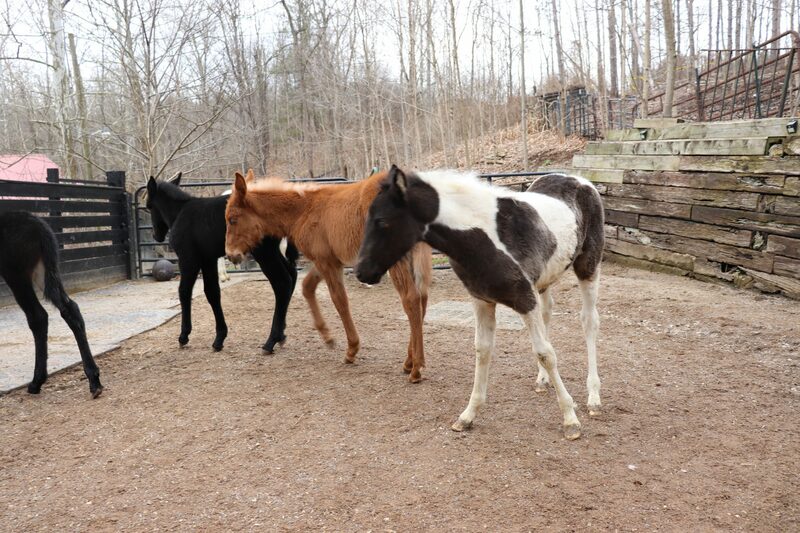 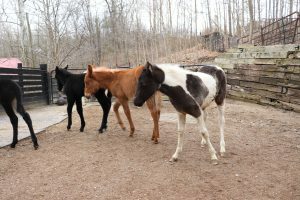 Born Jan 10,19 bright bay medicine hat GAITED paint filly. 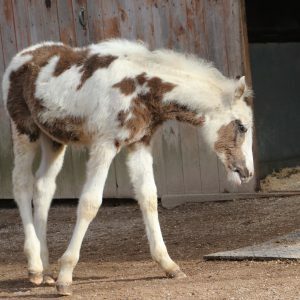 She can go as a single but needs a pal where ever she goes! 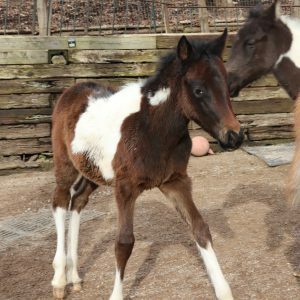 Born Jan 10,19 Dark bay Qtr. 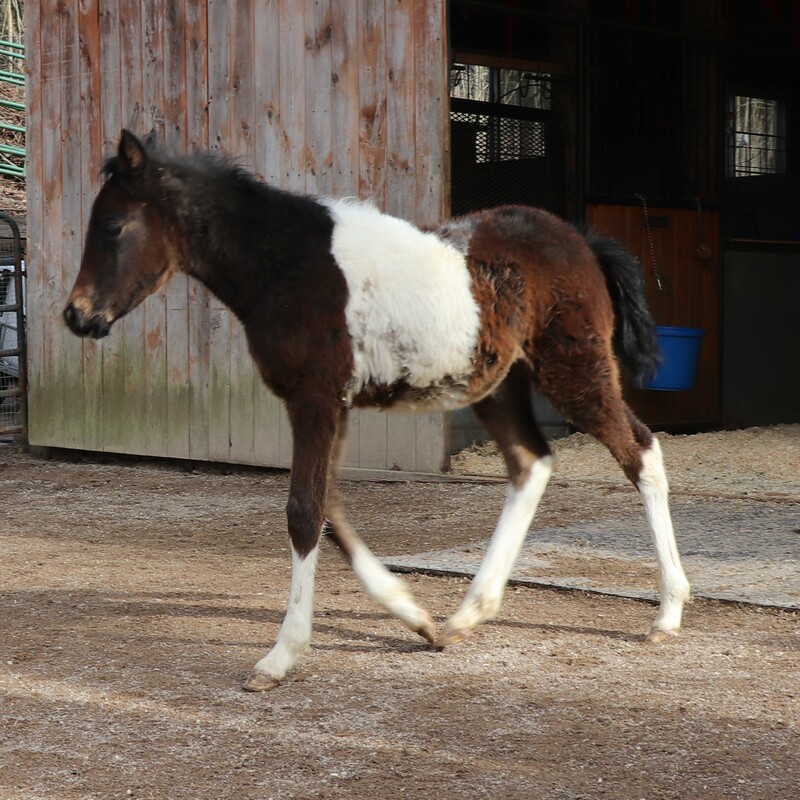 type filly. She could go as a single but would do better with a pal. 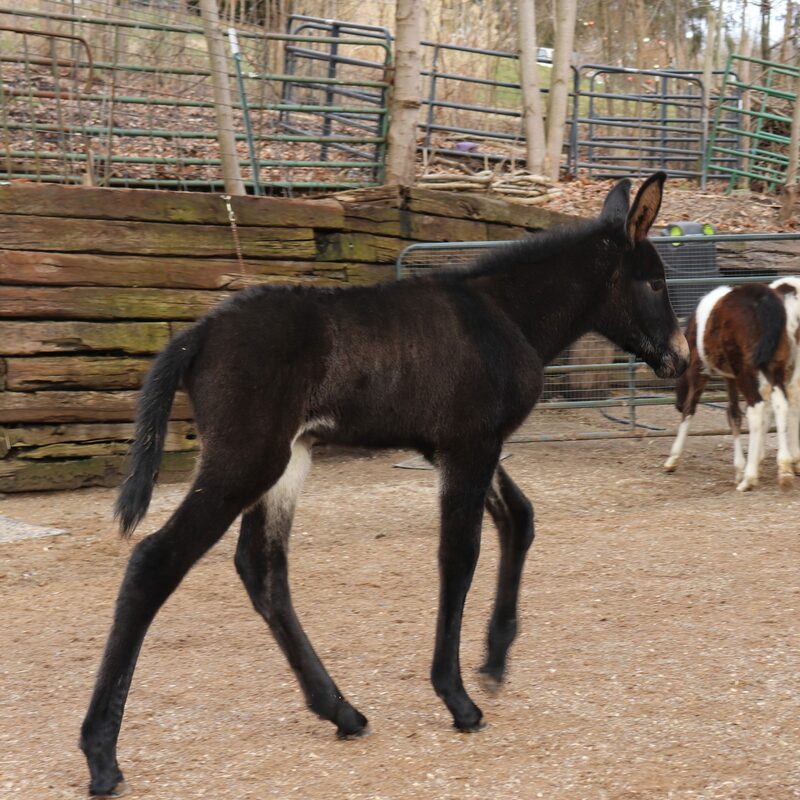 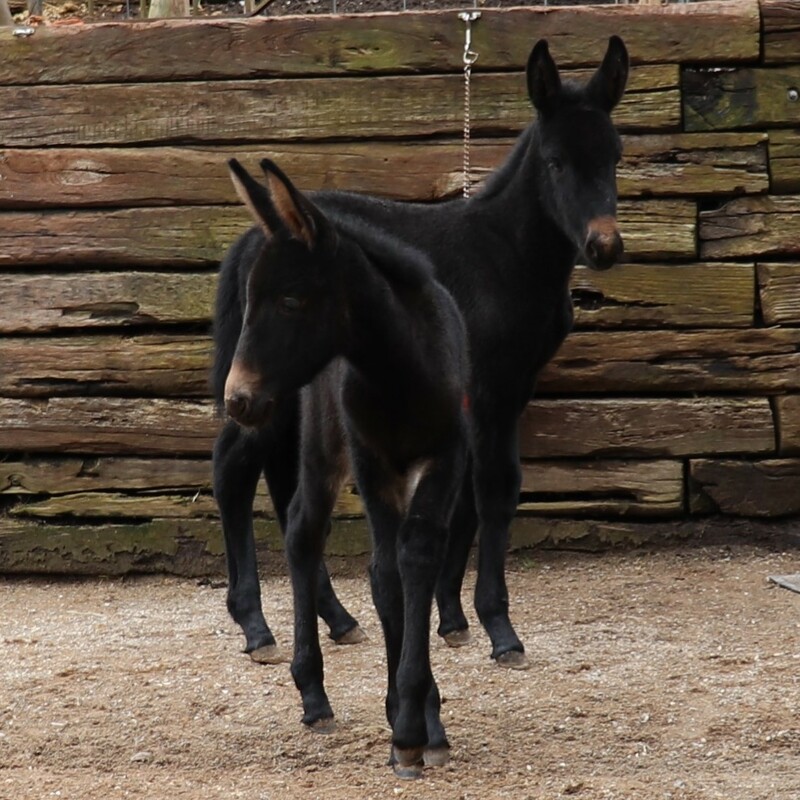 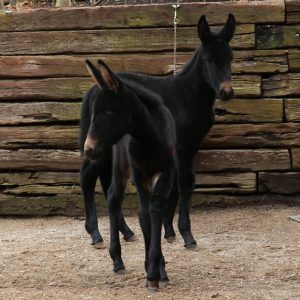 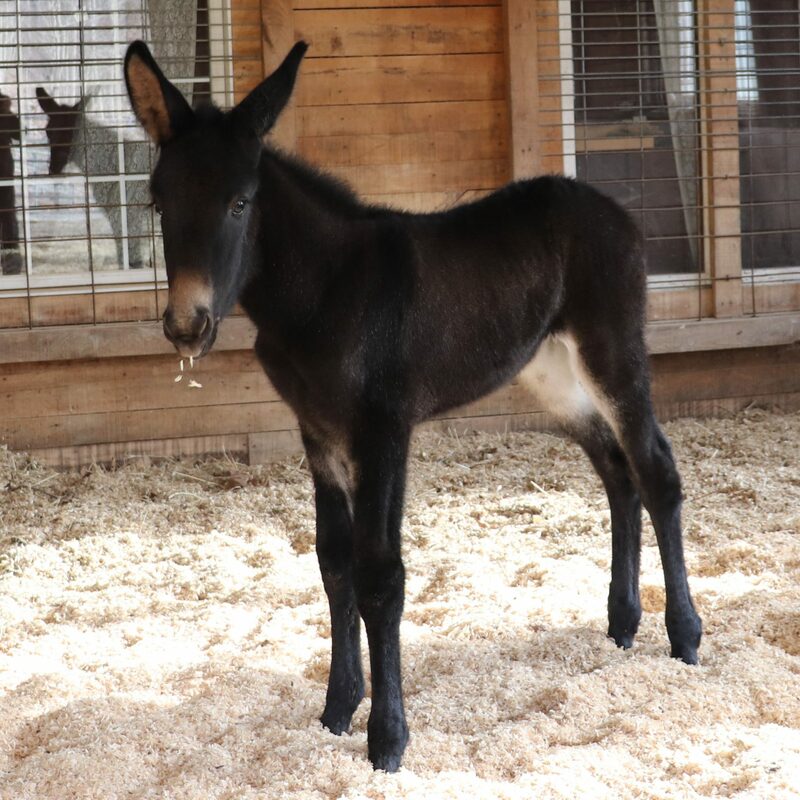 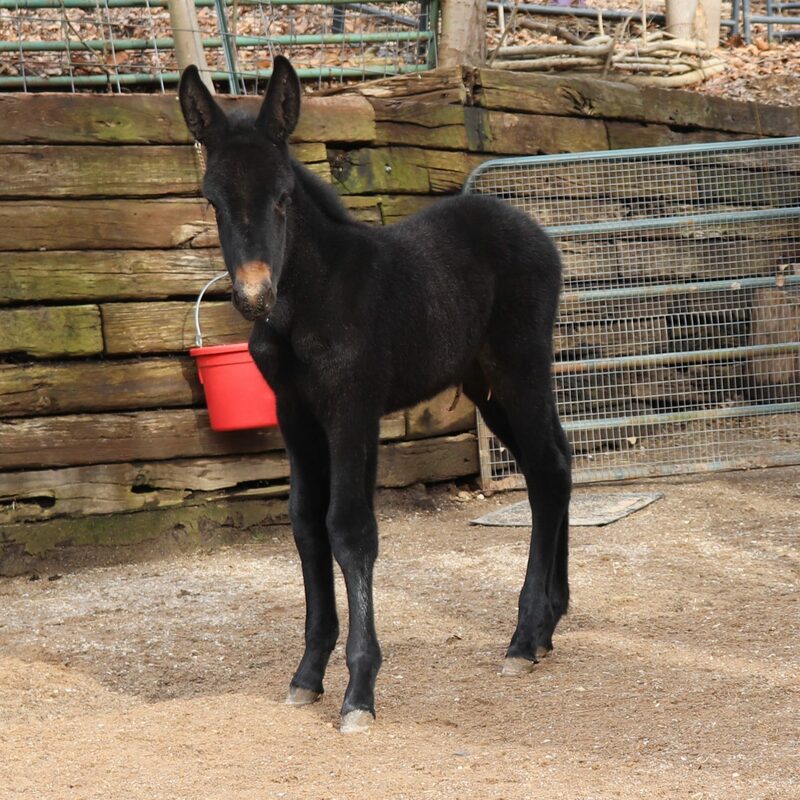 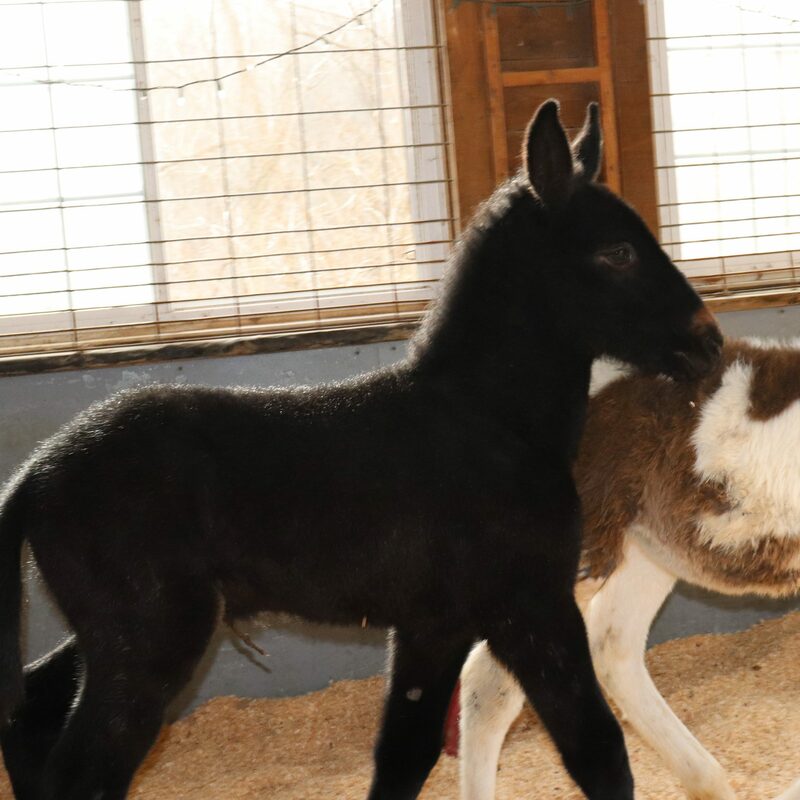 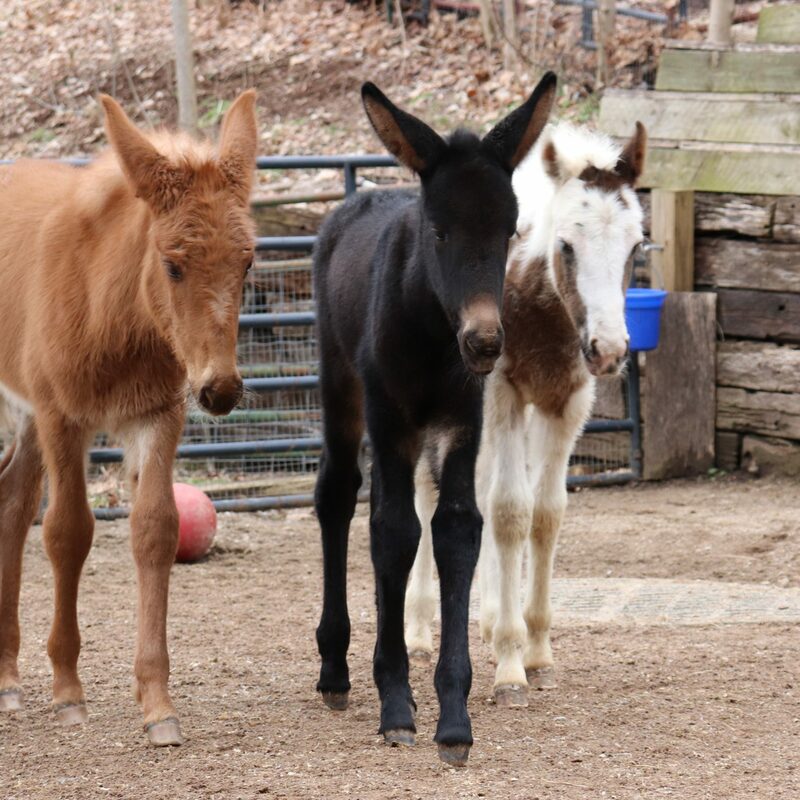 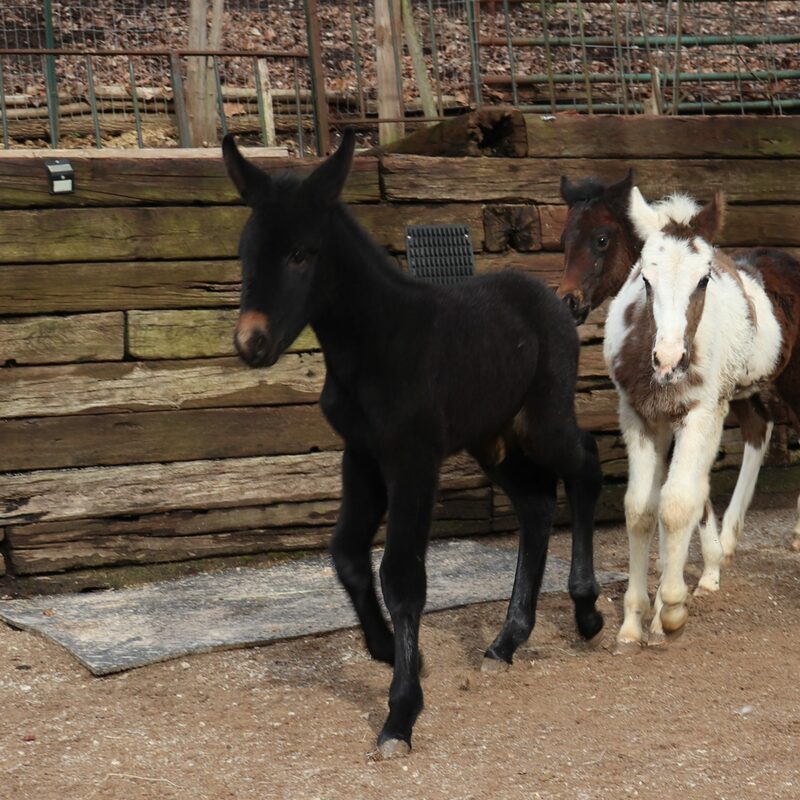 Born Feb 11,19 A mule filly very dark with grey underneath and loads of dun factor markings. I can’t say what color she will turn out to be for sure. 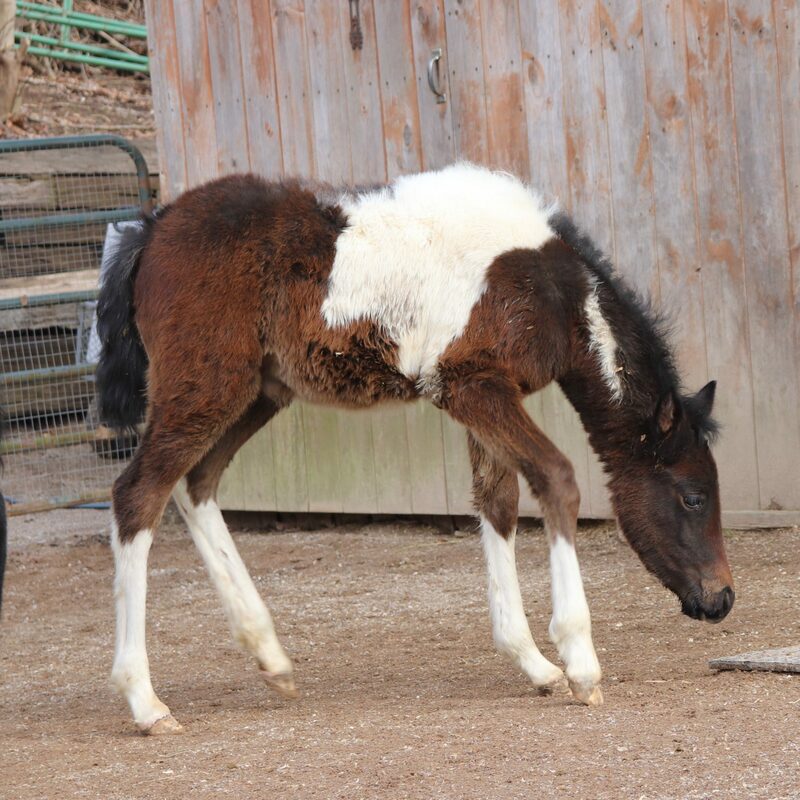 she has the same dad as Popeye.